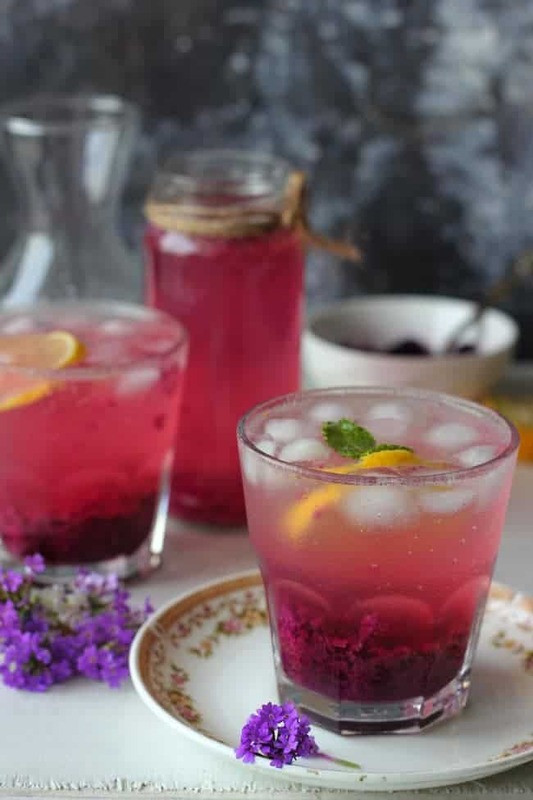 Jamun Masala Soda is one of the best summer drinks. It is all natural colour, no preservatives, gluten-free, vegan and 100% tasty. Jamun Masala Soda is one of the best things that happened this summer. And probably one of the easiest way to manage the abundance of Jamun. This year the summer in Delhi is nothing but cruel. It is hard to keep calm and find food inspirations. Everything around seems dull and melting. And that explains the reason for more and more drink recipes making it to the blog these days. This summer, to deal with the heat in my kitchen I am staying away from the stove top as much as possible and concentrating on no-cook or minimal cook recipes. They are the lifesaver. Whether it be cold salads, drinks, chutney or light curries – all of these are the highlight of my summer menu. With every new season, I try to work with seasonal ingredients. 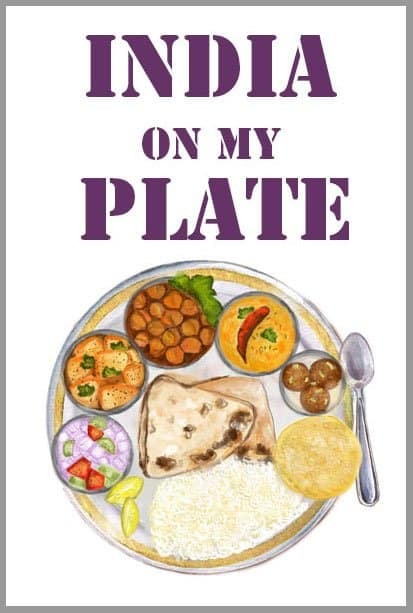 Something that will mark my memory and taste buds forever, like a simple Spring Onion Raita, Bhune Tamatar Ki Chutney, Jamun Frozen Yogurt or Jamun Masala Soda. This way my everyday plate is loaded with the flavour and colours of the season. Otherwise, life during summer is just too boring with only squashes and gourds to cheer you up. I love Jamun for their piquant flavour, vibrant hue, and a fibrous texture, and they shine when paired with contrasting flavours such as spices and lemon. All you have to be creative with the crimson shades of the fruit. Jamun needs a little touch of spices and salt to be transformed into a refreshing, hydrating summer drink. 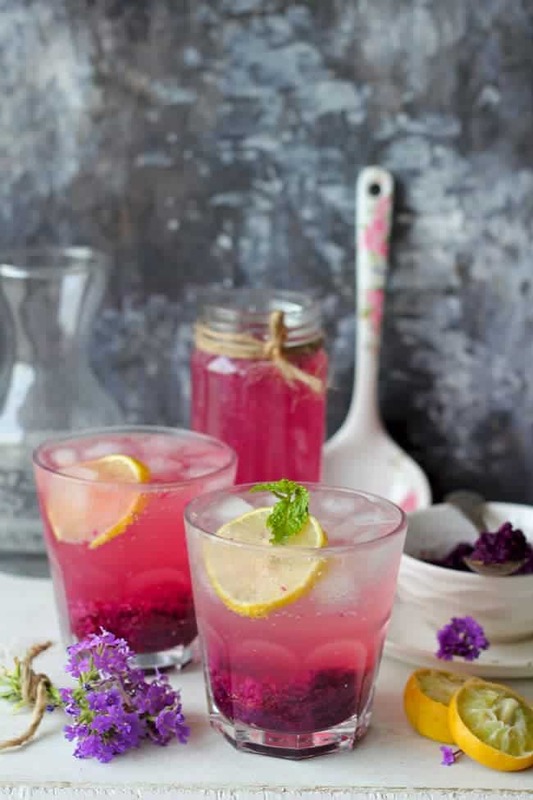 And I must confess the Jamun Masala Soda Recipe is inspired from the famous Sparkling Blueberry Lemonade. While in India, we do not get blueberries that easily and cheaply. So it is better to get creative with the berry that is local and available in abundance – Jamun. You can prepare the same recipe with blueberries or any other seasonal berry as well. 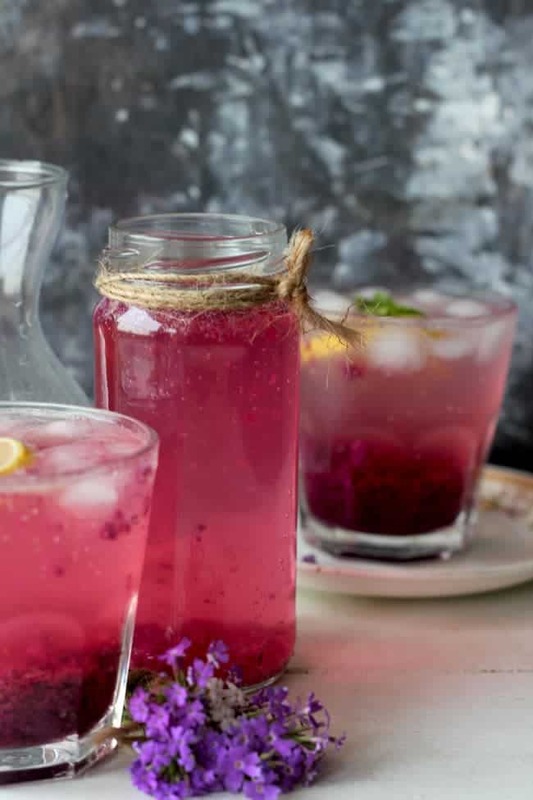 The combination of fresh berries, lemon and spices jazzed up with soda is an absolute knockout summer drink. This Jamun Masala Soda is all natural colour, no preservatives, gluten-free, vegan and 100% tasty. How many more reasons you need to bookmark a recipe? 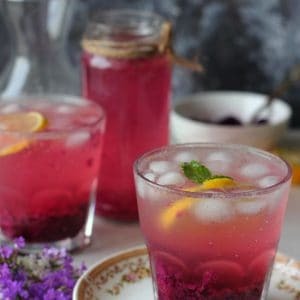 Jamun Masala Soda is one of the best summer drinks. 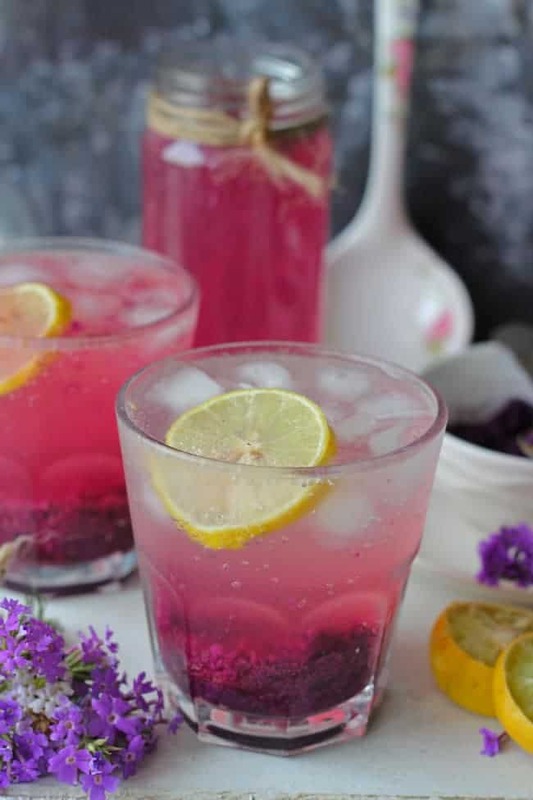 This Jamun Masala Soda is all natural colour, no preservatives, gluten-free, vegan and 100% tasty. Learn how to make delicious masala soda with jamun. Rinse the Jamun nicely with water. Allow them to dry or pat dry with a kitchen towel. Arrange Jamun in a bowl and sprinkle with a teaspoon of salt. Let the Jamun sit with salt for 30 minutes. Once the Jamun turn soft mash them using your fingers. Discard the seeds and collect the pulp in a separate bowl. Puree the Jamun pulp in the blender ( buy it here ) using 1/4 Cup of water. Set aside. Combine the lemon juice, chaat masala, salt and cumin powder in a glass. Mix nicely. Now add a tablespoon of Jamun pulp in each serving glass. Add the equal amount of lemon juice mixture in each glass. Pour soda in each glass till filled. Stir nicely. Serve Jamun Masala Soda immediately.